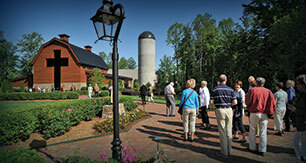 Billy Graham originally was against a building bearing his name. After it was explained that the Billy Graham Library would point people to Jesus Christ, he agreed to go along with the idea. 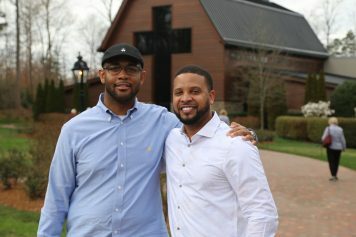 As word spread of the passing of Mr. Graham on Wednesday morning, a steady stream of people made their way to the Billy Graham Library in Charlotte, North Carolina. Many hadn’t planned a visit but felt pulled there—and to be near others also experiencing the great loss. Sherilyn Washington works in the Library’s Guest Services. “People are shocked, sad and happy at the same time, knowing that Mr. Graham is with the Lord, and also his wife, Ruth. 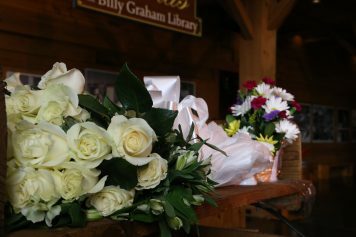 Flowers left by mourners sit atop a wooden wagon inside the entrance to the Billy Graham Library. Haywood, 31, visiting from Richmond, Virginia, feels blessed he was in town during this time. 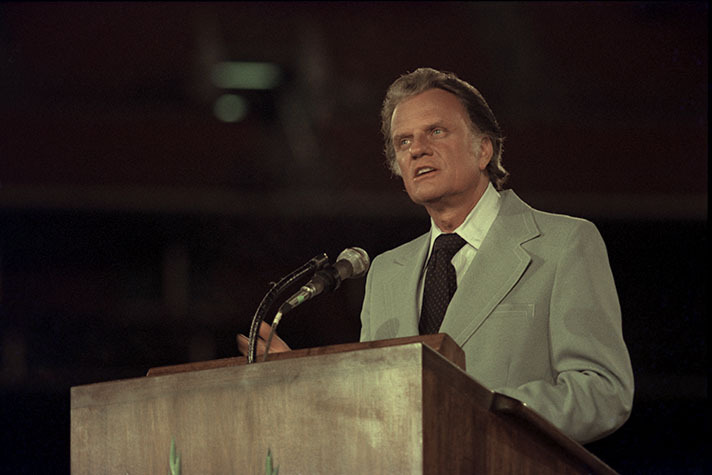 Derry remembers watching Billy Graham’s Crusades on TV. Fellow pastors and friends Darryl Stackhouse and Derry Haywood came to the Library to remember Mr. Graham’s legacy and be inspired by his ministry. He said that’s what he thinks of when he thinks about Mr. Graham. Miriam Pustaver, from Chicago, Illinois, was one of those thousands Derry referred to. She calls Billy Graham’s 1971 Chicago Crusade the beginning of her journey of faith. “I really didn’t have a relationship with Jesus Christ,” she said, before going forward when Billy Graham gave the invitation to receive Christ. Her faith grew exponentially, though, as she studied materials she received from a Crusade counselor and started attending a Bible-teaching church. 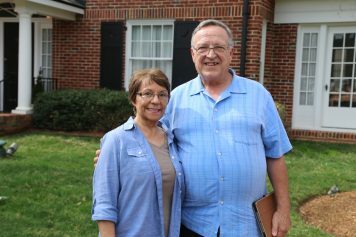 Bob and Miriam Pustaver, from Illinois, spent time going through the Billy Graham Library for the first time Wednesday. Wednesday, her eyes misted as she recalled that night in Chicago while visiting the Library that bears the evangelist’s name. It’s an emotional day for many, Library volunteer Tom Winn noted, adding those coming are especially open about sharing their needs and concerns with prayer volunteers. Have you asked Christ into your heart? Start here.